A new era for Denver’s schools: After a decade of growth under Tom Boasberg, is this the beginning of the end for Mile High reforms — or just the end of the beginning? Under his tenure over the past decade, Denver Public Schools has had a remarkable trajectory. He has shepherded a long list of reforms that have elevated DPS from one of the worst large urban school systems to now having academic performance levels on par with Colorado’s average scores. High school graduation, college admittance, and school enrollment have dramatically grown under his leadership. Through the years he established himself as a thoughtful technocrat — someone far more interesting in person than his khakis, blue button-downs, and Timex runner watches would suggest. He commutes 30 miles each day from Boulder, he began his professional life as a semi-pro basketball player in Hong Kong, and he played a prominent role in managing the city’s constitutional issues during its change of sovereignty in 1997. He then went to Washington, D.C., to assist in the deregulation of a telcom. Boasberg’s childhood friend Michael Bennet hired Tom to be DPS’s chief operating officer in 2007, and when Bennet was tapped to replace Senator Ken Salazar in 2009, the DPS board took a risk by not opening up a search, opting to elevate Tom instead. The sentiment seems to have been that the district was finally starting to turn around and it would be wise to continue with Bennet’s direction and leadership structure. And anyone that has spent time with Tom knows he is a very smart guy. Boasberg hit the ground running with many of the same strategies initiated by Bennet but also quickly emphasized the importance of performance management with the creation of the district’s school performance framework (SPF). In contrast to his predecessor, he pivoted toward a portfolio approach. He set up a robust charter-district collaboration that enabled Denver to share district facilities with charters and empowered charters to better serve all kids through adding special needs centers and permitting schools to take new students after the closing of the enrollment period. Tom was mostly agnostic on governance type (charter versus district or innovation) and focused primarily on accountability through the school performance compact. During his tenure, 89 new schools have opened and more than 45 low-performing schools have closed or been phased out in DPS since 2008. And all of this happened while enrollment in the district has grown faster than in any other urban school district in the nation. Much of that growth was because of the residential development surrounding the former Stapleton airport, but a significant part of that enrollment gain came from the district’s expansion of early childhood education programming and the fact that the improvement of DPS schools was luring families back into the public school system. School autonomy has been a primary driver for the district’s overall academic success, with more than half of Denver’s schools now operating as charter or innovation schools. All schools, whether district managed or charter, have improved over time, with charters disproportionately topping the district’s rating system. Meanwhile, Tom’s focus on technical rather than political strategies for reform often left him at odds with communities who felt left out of the decision-making process. This strategy accelerated the number of high-performing schools (mostly charters) but led to northwest and northeast Denver becoming a battleground for school closures like Montbello and Lake. Tom ushered in a universal choice system that allows families to choose from the complete list of schools, whether district managed or charter, from one application. Last year, more than 83% of families exercised some form of school choice. Prior to the universal program, there were more than 60 different processes, with a strong bias toward wealthier families. The city is now home to some of the best public schools in Colorado, many of which serve a significant number of low-income and non-white students. And in neighborhoods with struggling schools, Tom’s expectations of greatness have changed the daily conversation. More families than ever are now expressing their frustrations when schools fail to live up to expectations; most of those parents now rightly expect things at their school to improve — and quickly. This broader expectation, of universal access to a quality school, is a powerful paradigm shift, and it has fundamentally changed the education conversation in this city. A notable sign of these heightened expectations surrounding Denver’s schools could be seen in last year’s school board race, in which several candidates won races based on a commitment to bringing the community back into the district when it comes to decisions about adding or closing schools. There is growing evidence that this era of performance management and new school development may be drawing to an end, with the inflation of school ratings (most schools are “green” in spite of most students not being able to read) and the rescinding of policies that had forced the turnaround or replacement of the district’s lowest-performing schools. With the announcement of Tom’s departure, there is now a massive question looming over the district: Will the board and the next superintendent return to Tom’s core policies, improve them, or walk away for good? Or perhaps the next superintendent will create a whole new set of improvement strategies to address the appalling number of Denver students who are still not able to read at grade level, apply for college, or adequately prepare for a job. Over just a few years, it’s been remarkable to see how far Boasberg and his team have brought Denver Public Schools. Long one of the worst urban districts in the country, Denver is now nearly on par with the state average, as measured by the Colorado state assessment. Our next superintendent will have to glean what has worked, abandon what hasn’t, and create a new set of strategies to get to the next level. Reading matters more than ever, but so does a student’s ability to self-advocate and adapt to a quickly changing world. How will Denver’s next superintendent look beyond the political fights and shut out the loudest ideologues to support this kind of improvement? The challenge of now taking DPS from average to great will require something more than what the district has done so far. It will require a system of schools that can go beyond the basics, not just getting kids to the graduation stage (admittedly difficult to do) but also building the habits students will need to thrive beyond high school. Van Schoales is the chief executive officer of the nonprofit “action tank” A+ Colorado. 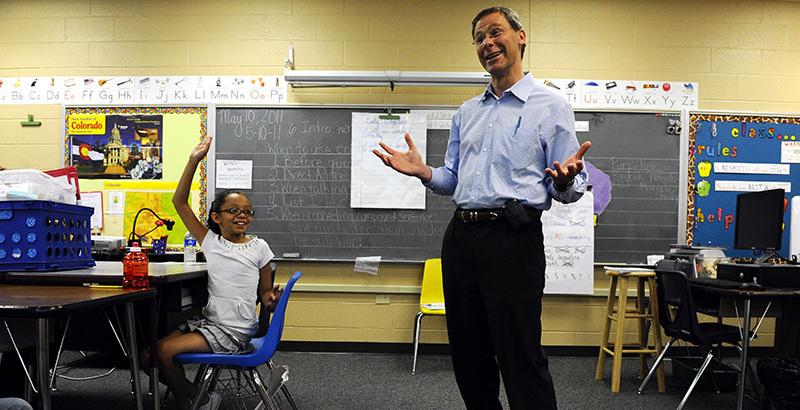 He has 30 years’ experience leading education reform efforts from the classroom to the statehouse. 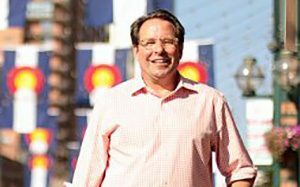 He has also helped found a number of other nonprofit groups, including the Odyssey School, Denver School of Science and Technology, Democrats for Education Reform Colorado, Bay Area Coalition of Equitable Schools, and Chalkbeat Colorado. Correction: Eighty-nine new schools have opened and more than 45 low-performing schools have closed or been phased out in DPS since 2008.